Prefabricated homes are an efficient way to build a new house. They provide a way for homebuyers to purchase brand new home at a lower price tag than traditionally-built houses. Buying a prefabricated house keeps prices low because modular pieces are built and assembled at a site different than that of the final home. This makes these homes an ideal option for buyers on a budget. A reliable builder: Make sure that the contractor you work with has experience with prefabricated homes and is a reliable, well-reviewed professional. You may wish to see other prefab homes that the contractor has built as part of your home search. A good warranty: A reliable seller will include a warranty with a recently-built home to cover any damaged caused as a house “settles” into the new lot. Problems are rare, but a good warranty will cover issues like cracked drywall. Modern style: You want to ensure you choose a home that is up to date. Good prefab homes will have a contemporary style and modern materials. These are a few of the things you should start to look for in prefabricated houses. 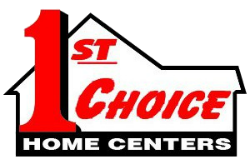 If you would like to learn more about these affordable homes, contact us at 1st Choice Home Centers. We would be happy to answer your questions about prefabricated houses and help you learn more about your house buying options!